Do you often have problems in distinguishing different air preparation? DC series air preparation is equivalent to Festo type air preparation. Air preparation is also named DC series FRL unit, which contains Air regulator, air filter, air lubricator, two combination or three combination. High pressure air preparation is also named high pressure FRL unit. 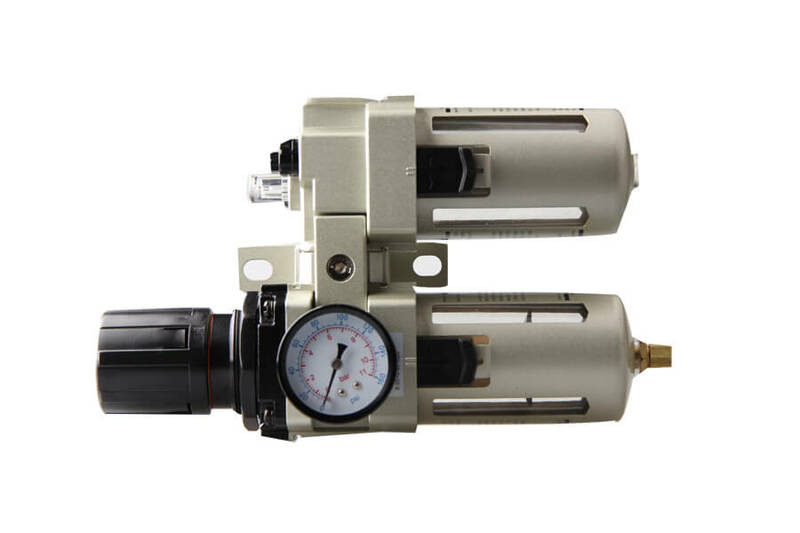 High pressure regulator, which compressed air can be adjusted from 4MPa and kept steady going. Precision pressure regulator is applied for cleaning rooms. Compared with traditional ones, the flow rate is 20% higher. AC series air preparation is equivalent to SMC type air preparation and it contains air regulator, air filter, air lubricator, two combination or three combination. HAC series air preparation, whose push in fittings at the filter bottom can connect one tube to drain water to other place in order to protect environment. HNAC series air preparation’s cup is made of aluminum alloy, which can be used under the sunshine or even all kinds of corrosion environments. AC/BC series air preparation is equivalent to Airtac type air preparation. Air regulator, air filter, air lubricator, two combination or three combination are available. 39 series air preparation is equivalent to Herion type air preparation. 39 series air preparation is also named 39 series FRL unit.